Ironically, one of the most literarily significant lesbian novels of the pre-Stonewall era was written (pseudonymously) by a notorious anti-Semitic mystery and suspense novelist. Yes, the same difficult mind that created the talented Tom Ripley also gave birth to Carol Aird. Journey back to Manhattan in the early 1950s, when Madison Avenue wasn’t so mad yet. Lesbianism might have been a love that dared not say its name, but the sophisticated Aird is still not one to mince words in Carol (trailer here), Todd Haynes’ adaptation of Patricia Highsmith’s The Price of Salt, which screens as a Main Slate selection of the 53rd New York Film Festival. In order to win her back, Harge is willing to play dirty. That includes calling out Aird’s past fling with Abby Gerhard, her childhood friend and now platonic confidant. Feeling overwhelmed by the tawdriness of it all, Aird packs up Belivet for an impulsive road trip. Naturally, further complications will ensue. Cineastes generally get Haynes’ affinity for the era and its attendant angsts, but the quality of Carol’s period details are still impressive in their seamless accuracy. As we see, this is a time that predates the LP, when music stores stocked ten inch records in brown paper sleeves. The film also has the good taste to prominently feature Billie Holiday’s rendition of “Easy Living,” recorded with the great Teddy Wilson. In fact, Holiday is a rather fitting choice, given the film’s themes. However, it should also be noted the uncharacteristically lush orchestral score is one of Carter Burwell’s best. 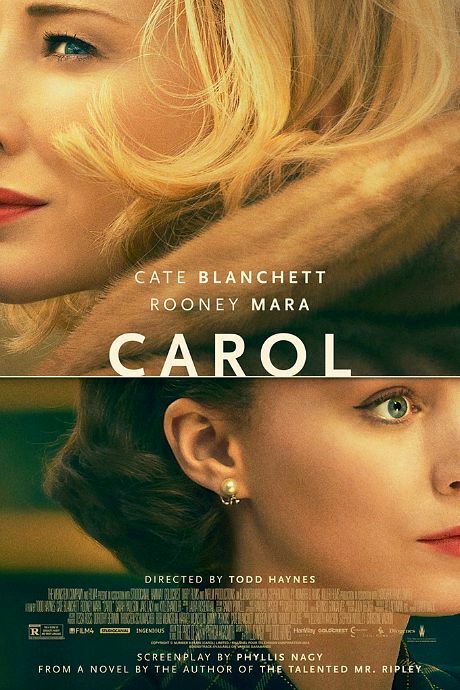 Carol looks great and sounds great it is not quite the instant classic some represent it to be. Despite the breathless plaudits it has generated, there is something rather affected about Cate Blanchett’s performance as Aird. Instead of truly submerging herself into the character, she looks and sounds like she is doing Aird as if played by Joan Crawford or Rosalind Russell. Still, who wouldn’t like to see either of them dig into such a juicy role? In contrast, Rooney Mara delves inward for an unusually brittle and disciplined turn. You would half expect her to shatter if she tipped over. However, Sarah Paulson steals scene after scene as the earthy, no-nonsense Gerhard, while Kyle Chandler manages to humanize square old Harge remarkably well. 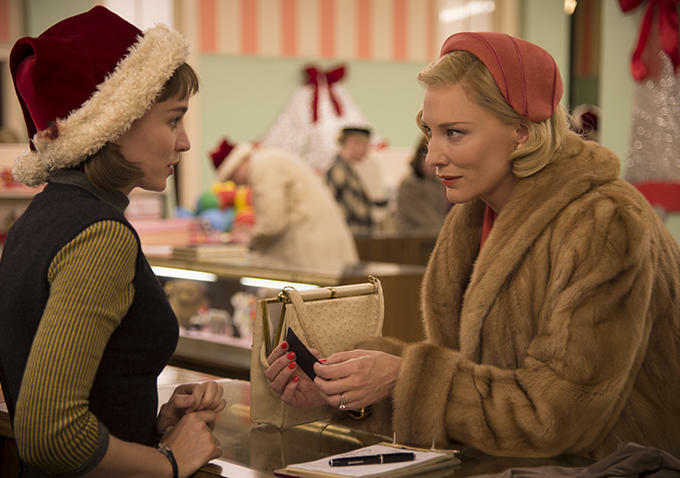 As a recreation of the 1950s, Carol is richly realized, but it is less convincing as a relationship drama. Nevertheless, it takes viewers to a specific time and place, where it duly scores it points. Earning a moderate recommendation for its technical merits, Carol screens tomorrow (10/9) and Saturday (10/10) at Alice Tully Hall, as part of this year’s NYFF.